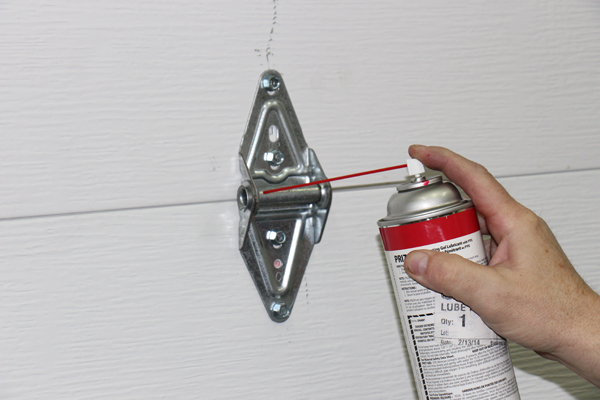 In most homes, the garage door is the single largest moving part. It is big and heavy, particularly so if you have a wind-loaded door with extra bracing. Over the course of a year, if you use your door an average of three to four times a day, it will go up and down about 1000 to 1500 times. To prolong the life of your door and ultimately save on service expenses, follow these steps to lubricate a few key parts. It's easy and takes just a few minutes. 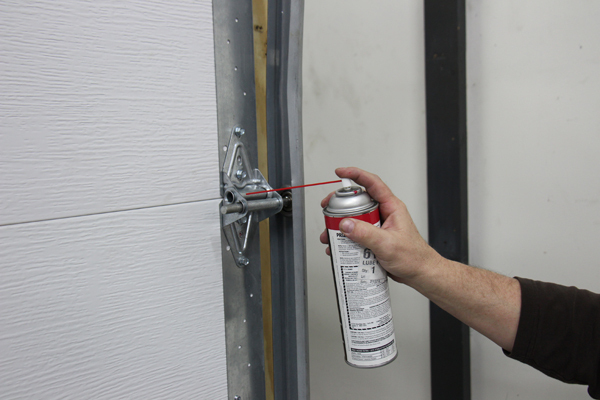 To keep your door working smoothly and quietly, apply a light silicone based oil every six months to the hinges, rollers (bearings and shafts), springs and the spring shaft end bearings. Look for “silicone” or “garage door lubricant” on the label. Do not use petroleum based lubricants because they won’t protect as well against corrosion and can cause the door to stick when it is below freezing. 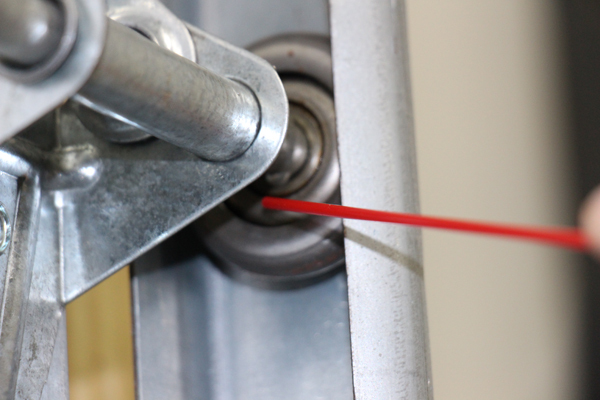 With regular lubrication, your door system will last far longer and require less service and repair work. 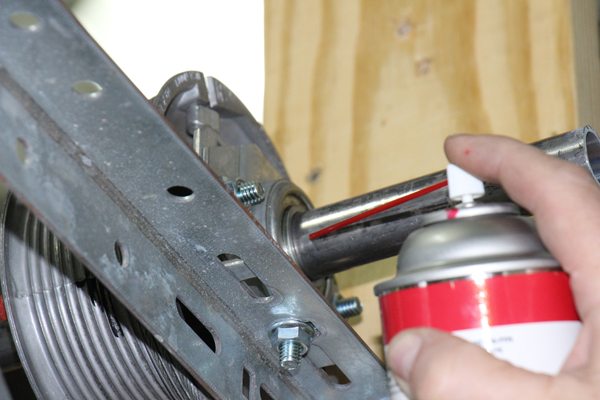 According to AngiesList, average repairs can run $100 to $300 or more for roller or spring replacement. In comparison, garage door lubricants are less than $10 per can. 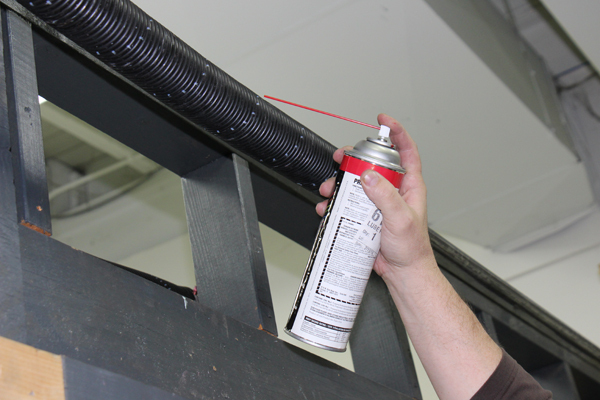 After you apply the spray, open and close the door a few times to distribute the lubricant over all bearing and spring surfaces. The squeaks should be gone. And you’ll have peace of mind in knowing that your garage door investment is being properly protected.